Happy Easter! I hope you’re all enjoying the long weekend. 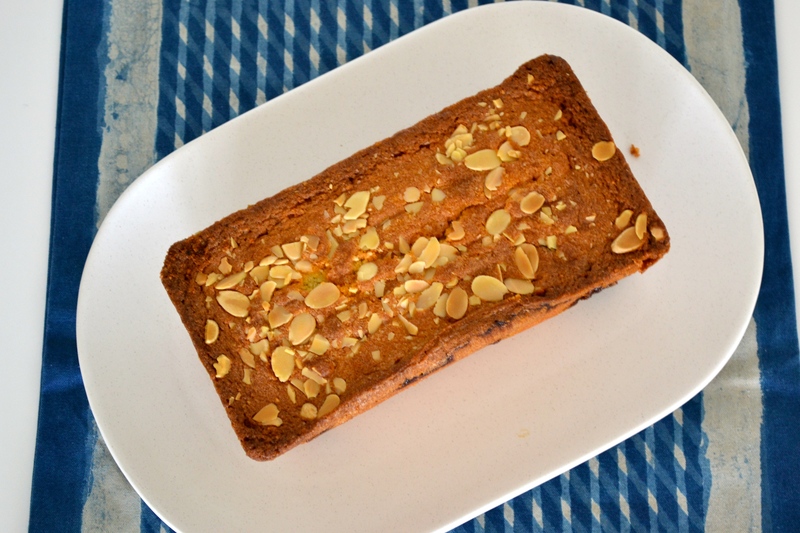 Today’s recipe may not be a traditional Easter cake, however it is one of my all time favourite cakes. 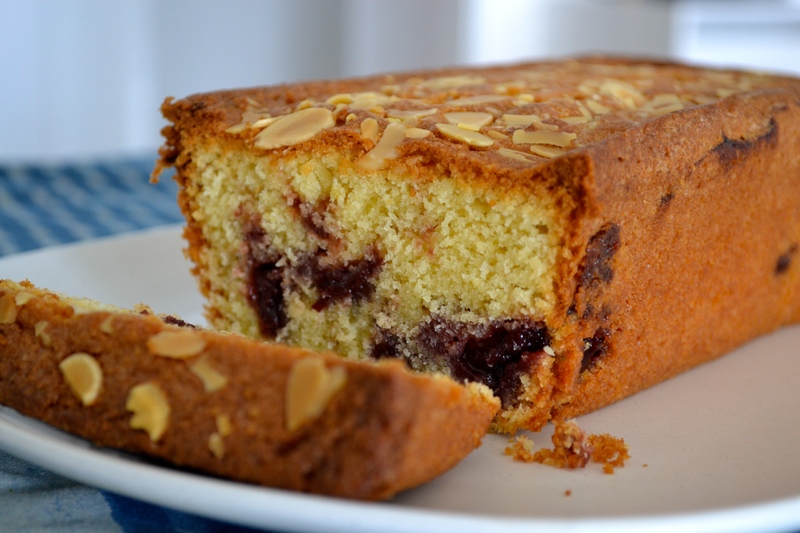 It’s a cake reminiscent of a bakewell tart; being made with ground almonds, a splash of almond essence to rev up the marzipan flavour and marbled with cherry jam. And the best thing is it takes all of 15 minutes to prepare as you can whizz all the ingredients up in the same bowl at the same time. It does, however, take a good long while to bake (one and a quarter hours) so once it comes out of the oven, make sure you don’t get impatient and try to turn it out of the tin too early. That’s exactly what I did last time and it means the jam stays stuck to the tin taking some of your delicious cake with it. If you’re quick you can stick it all back together though, so don’t panic if this does happen! To make this into a true bakewell tart replica you could exclude the almond flakes when baking and instead glaze the cake with some icing sugar mixed with water followed by a sprinkling of toasted almond flakes as a final flourish. As delicious for afternoon tea and elevenses as it is for dessert – just serve it with a good dollop of thick cream or ice cream. It’s also the sort of cake that gets better as the days go by so it will keep for a good 5 days in a sealed tin. 1. Preheat the oven to 180°c/160°c fan/350°f. Grease a 900g loaf tin. 2. Put all of the ingredients except for the jam and flaked almonds into a bowl and mix for 2-3 minutes with a hand mixer until fluffy and light. 3. 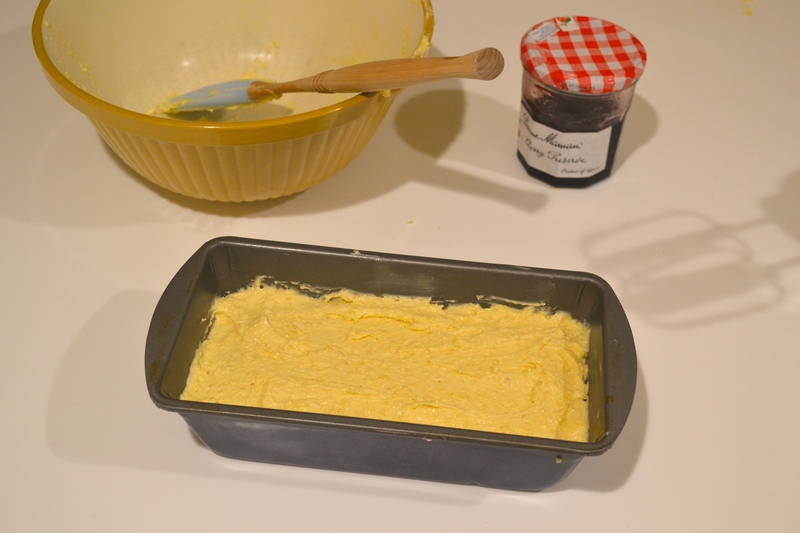 Spoon half the mix into the loaf tin then spoon the jam over the top, spreading it gently so it’s evenly distributed. 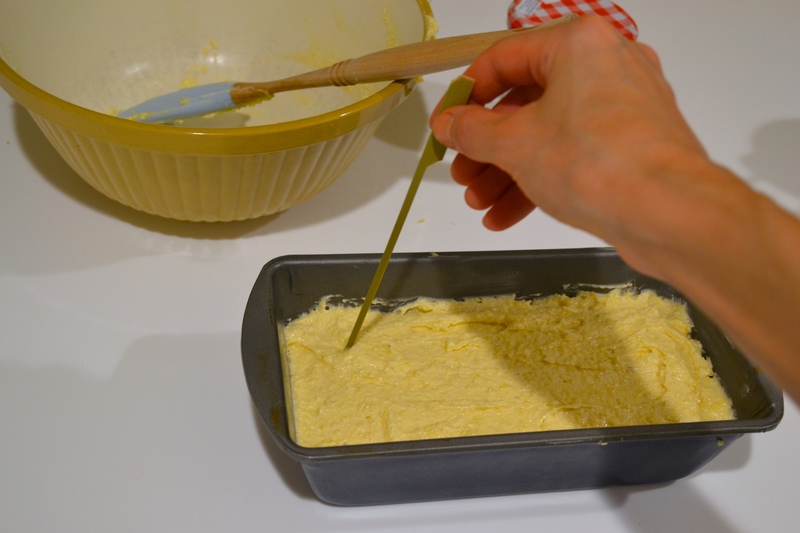 Cover with the remaining cake mix. 4. With a skewer, lightly swirl the mix and jam together so you create a marble-effect inside the cake. Scatter the flaked almonds on top. 5. Bake in the oven for 1 – 1 1/4 hours until it is golden on top and cooked through (test it using a skewer – there should be no uncooked batter on the skewer when you put it inside the cake). 6. Leave to cool in the tin for 15 minutes then gently ease it out of the tin onto a wire cooling rack. 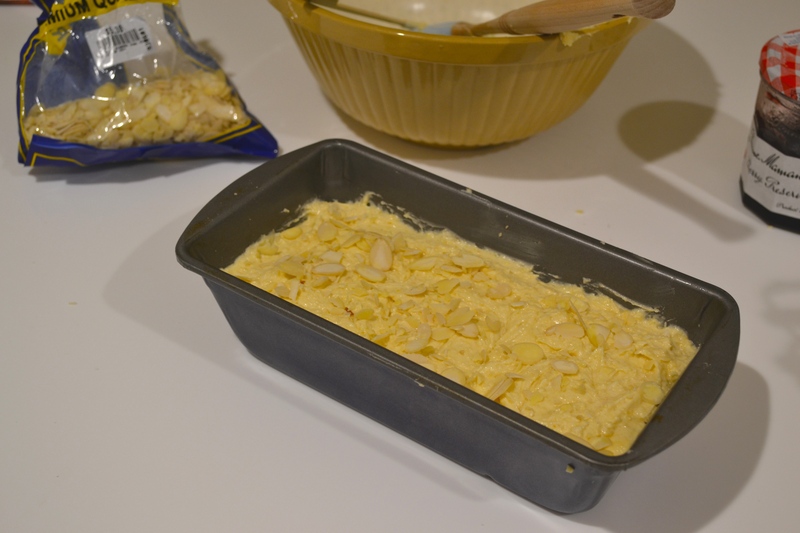 Store the cake in an airtight container and it will keep for up to a week but is best eaten by day 5.